It’s Tough Out There for a Parasite – Ya Like Dags? In this latest installment of “stuff I’ve found in a shark stomach,” something was eaten by a spiny dogfish in the process of munching on something else. While looking at stomach contents lavaged out of dogfish captured during the 2016 winter tagging cruise, I found, among some well-digested menhaden remains, a huge (a little over 1 inch long) and intact isopod with wickedly hooked appendages. The undergrad helping me out snapped some pictures of this handsome fellow. Hello Nasty. You can see the hooked posterior legs really well in this shot. Photo by Kailyn Corriher. The eyes are more visible in this shot, giving a better idea of which end the head is. Photo by Kailyn Corriher. 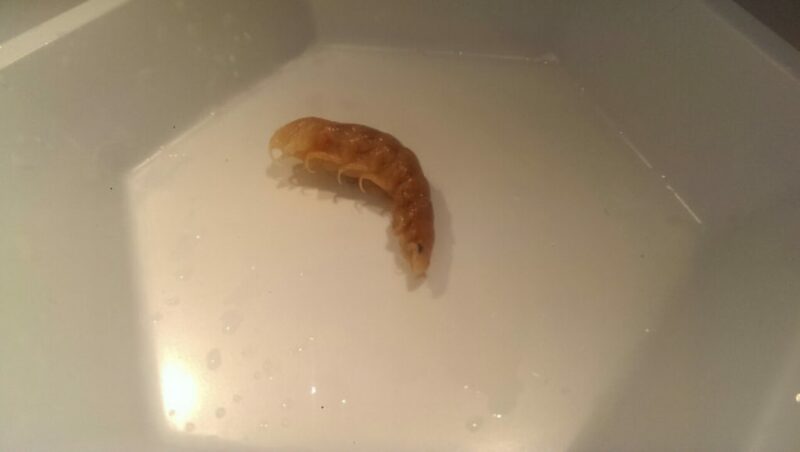 Since this was the first time this critter had shown up in one of my gut content samples and my taxonomic knowledge doesn’t extend beyond “it’s an isopod” for this group, I enlisted some outside help to figure out what this thing was. Fortunately, ECU biologist and professor April Blakeslee and South Carolina DNR biologist Amy Fowler were able to narrow it down to being a member of the Cymothoidae. This family of isopods is made up of large-bodied fish ectoparasites, attaching to various parts of fish with those talon-like appendages and slurping their blood. If you’ve ever been red drum fishing in the Carolinas and found yourself covered in “bugs” after handling a big catch, you’ve probably interacted with members of this family. This group also includes a celebrity, the infamous tongue-eating parasite Cymothoa exigua, which has already starred in at least one monster movie. This is one of the more pleasant places a member of the family Cymothoidae can attach to a fish. Source. Though it’s unclear which species this is, we can infer quite a bit about how it ended up inside a spiny dogfish. 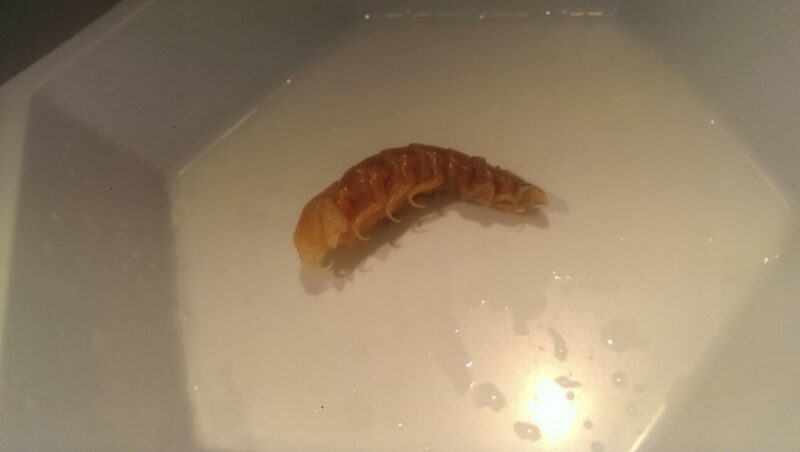 Cymothoid isopods are primarily ectoparasites (though some species will burrow into muscle or gill tissue) and none seem to inhabit stomachs willingly. The presence of menhaden remains in the same stomach suggests that this particular isopod was hitching a ride (and grabbing a meal) on the fish when it had the misfortune to get gulped down with its host by a hungry dogfish shark. The shark, for its part, probably only regarded the isopod as a garnish. This got me thinking about how often parasites end up accidentally being eaten along with their host, and how attaching to a host is actually a pretty risky behavior. This is especially true when your host is an Atlantic menhaden, the favorite prey of seemingly every marine predator on the U.S. east coast. While some parasites actually depend on being eaten by one of their host’s predators to complete their life cycle, for this isopod ending up in a dogfish stomach just lead to its demise. According to a review paper by Johnson et al. (2010), concomitant predation, which is the term they used for accidental or incidental predation on a parasite through the consumption of its host, is the most common way for parasites to end up in a stomach. It’s also likely the most common form of parasite mortality, and in areas where parasite biomass is high they can actually contribute quite a bit to predator nutrition. Infections of tongue-eating isopods can be fairly common among Atlantic menhaden in the estuarine waters of North Carolina, so it’s likely that quite a few striped bass, bluefish, dogfish, and other menhaden predators have gotten some “extra protein” by incidentally consuming these parasites. In addition, parasitic isopods may actually make their hosts more susceptible to predation by decreasing their stamina and swimming ability. The importance of parasites in food webs is still poorly understood. It can be tough out there for an ectoparasite.